Those costumes are absolutely INCREDIBLE. I am completely blown away by the awesomeness. Wow, I’m so impressed! 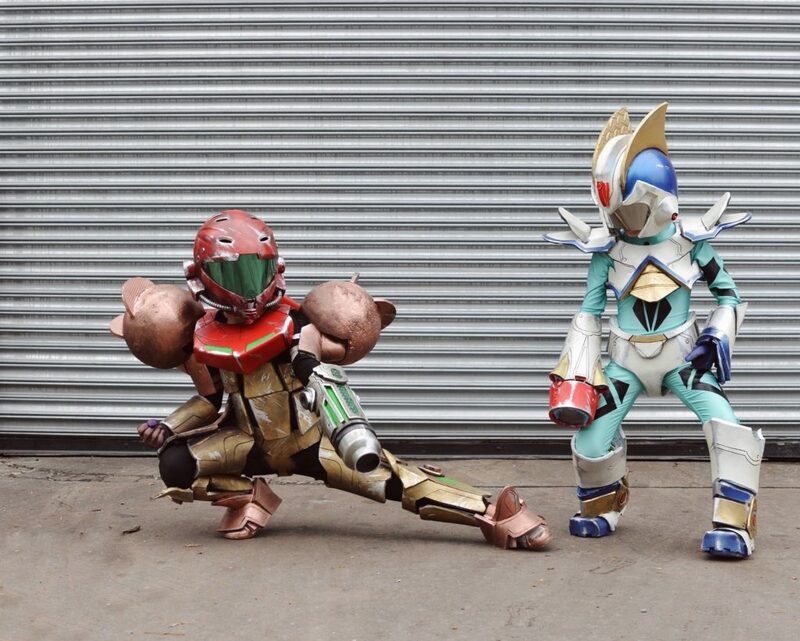 These costumes are so cool! I never would have guessed your husband made them. 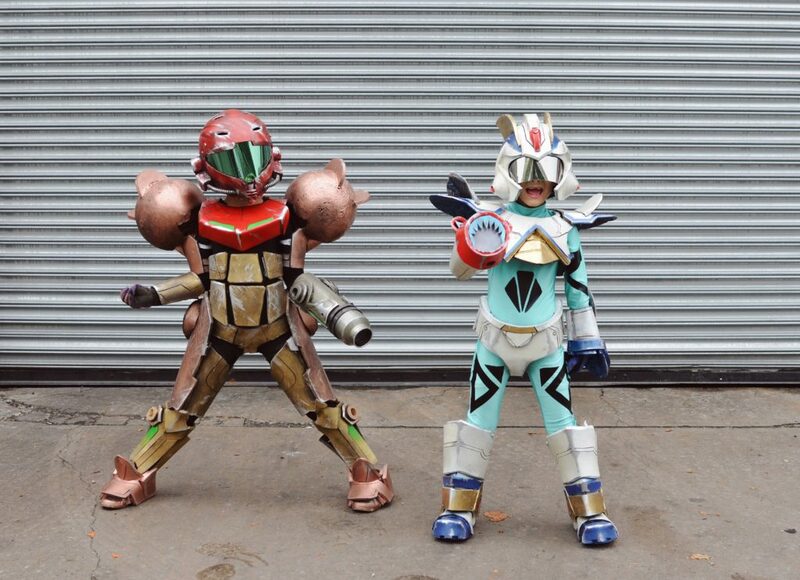 Wow these are the best dad made costumes ever. I am all about homemade Halloween costumes. Thes are adorable and perfect for video game lovers! These costumes are amazing. They look like they would fit in on set at a movie. I don’t think I’ve ever seen cooler homemade costumers! Simply incredible! Your kids are going to blow all of the other costumes out of the water this year. WOW! 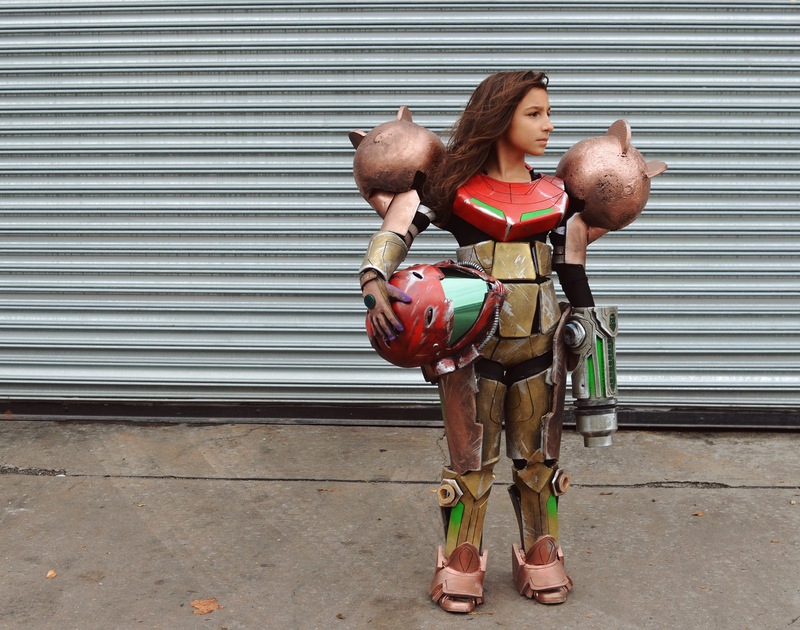 These DIY costumes are beyond cool and they’re really perfect for Halloween. I’m impressed with the outcome and I’m sure the kids will love it too. 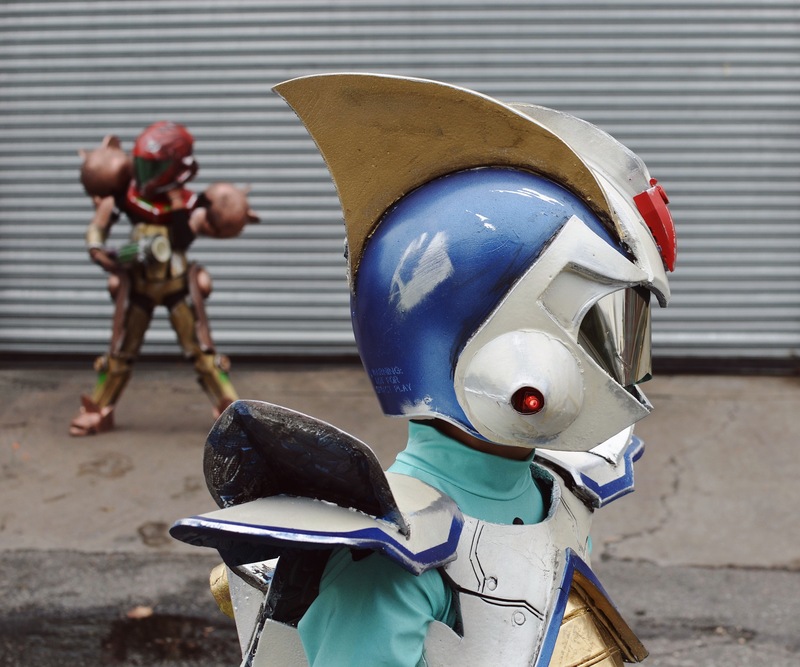 This is really impressive and I admire the talent in creating super awesome costumes! I have never tried making DIY costumes before but you’ve inspired me to do so! Wow! I am just so impressed! These turned out so well! I would like to wear one of these ha ha. I don’t think my DIY costumes would turn out so well. 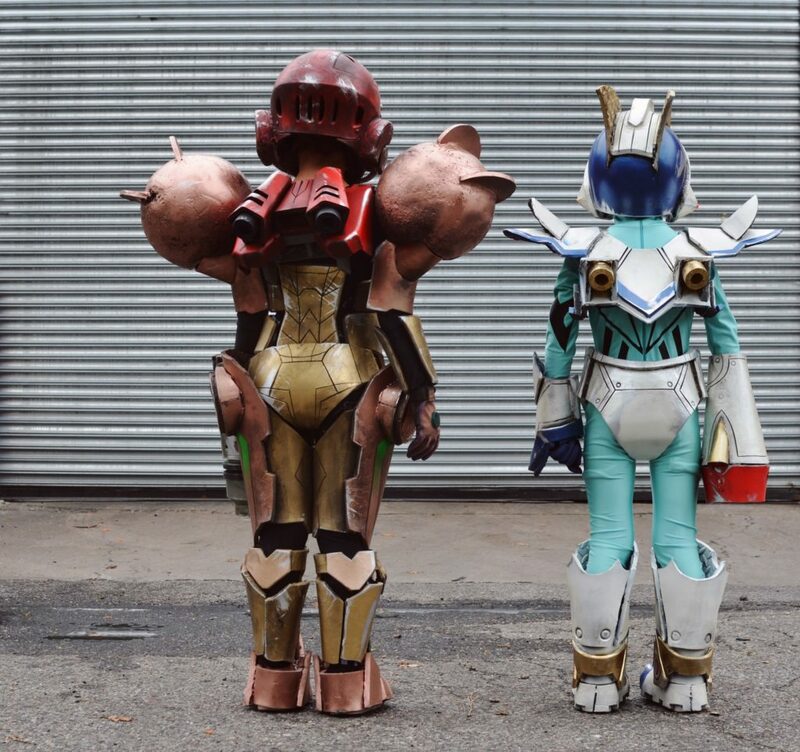 Those are freaking cool costumes! Those kids are definitely lucky! Those costumes are amazing! They look so professional! My mom made our costumes every year- so I know the amount of work that can go into them. Great job! 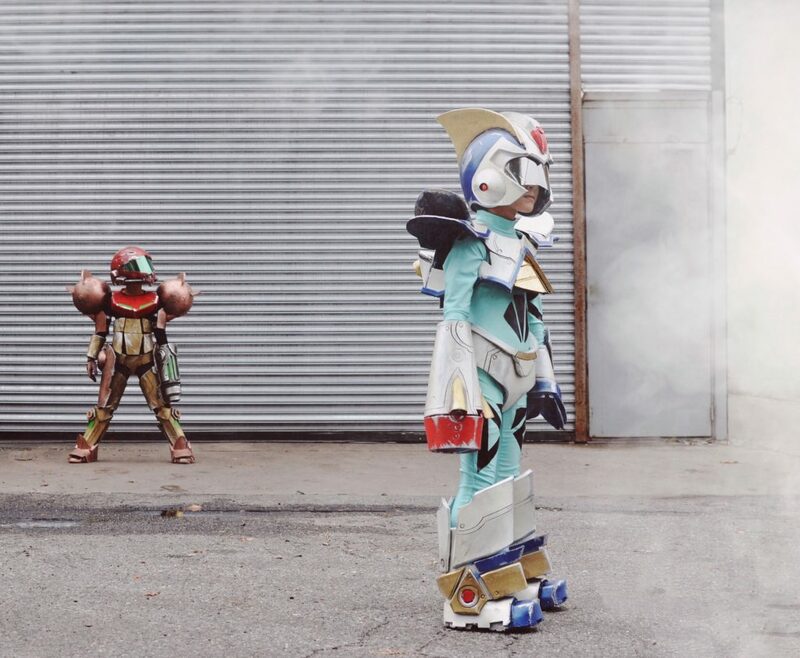 Oh my gosh – their costumes are awesome! I love how cool and creative they look! So much fun! WOW!! These costumes are so amazing! 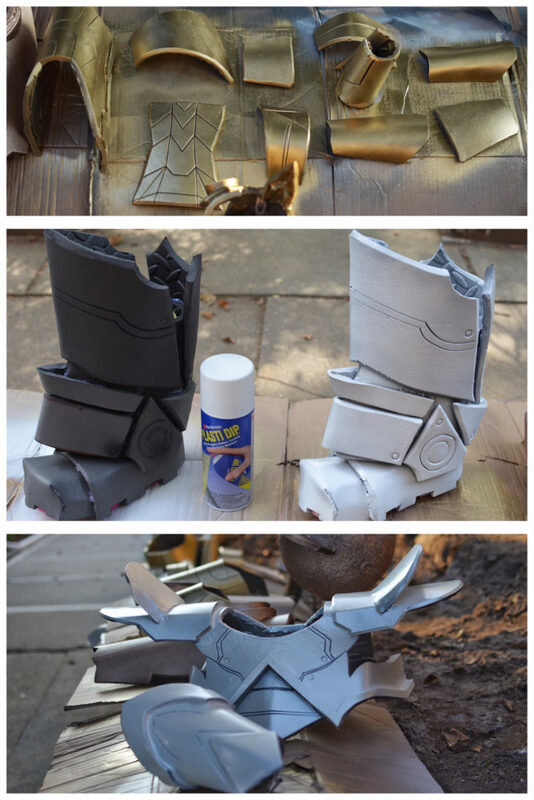 What a great job you did – I cannot believe they are DIY-ed! Definitely some of the best costumes ever! What? What? What? He MADE those? Talk about an awesome job, those are some of the best costumes I’ve seen. I know he must be thrilled with how great they turned out. Big kudos for the unique and cool factors! Wow! Your husband has so much talent! These costumes look like the expensive store bought kinds. Your kids are lucky to have these costumes to wear, and they’d be so proud to let their friends know it was their dad who crafted it for them! They are the coolest costumes! Normally my mother-in-law makes the kids’ costumes, but she isn’t feeling up to it this year. Love these awesome costumes! Your kids are so lucky to have a dad who is that creative! OMG. My husband is not in anyway good with crafts. (like me). 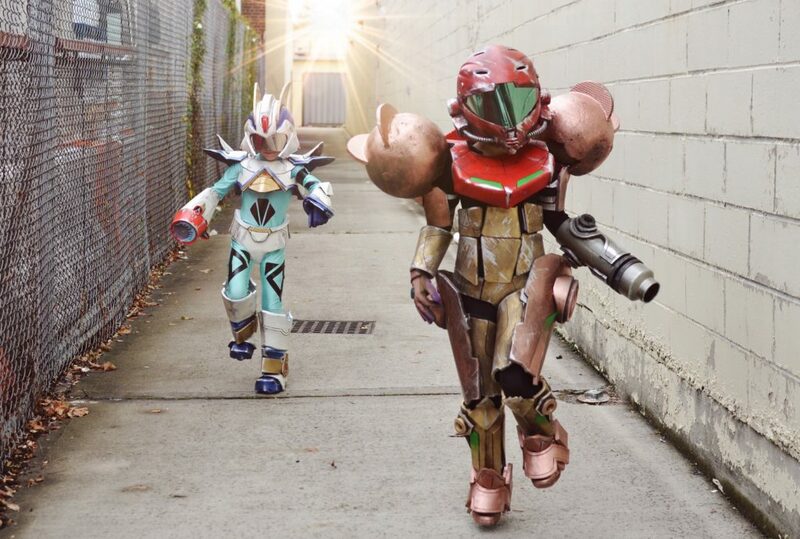 It sure looks like your kids adore their new Halloween costumes. BTW, did your husband ever think of going into business making kids’ costumes? So amazing. I just love these and how creative and detailed they are. So your hubby made this??? He is so creative I love this that is awesome I want him to make me a costume now! These are amazing! And I love that looking at them they look like they weigh a ton! So freakin cool! The BEST THING I have ever seen! Can’t wait to see you in a magazine someday.